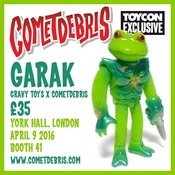 While it doesn’t sound like Quiccs will be at ToyCon UK 2016 (4.9), his toys will be there in force. 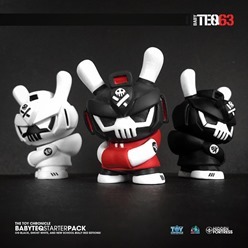 In addition to the TEQ63 Crew Zero One custom show with Martian Toys, he’ll also be releasing Baby TEQ63 figures at two booths. 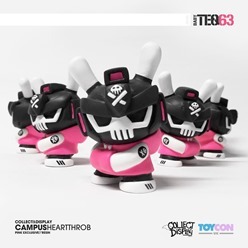 Collect and Display (booth #39) will have the exclusive Campus Heart Throb edition (10 pcs, £40 or roughly US$57) and The Toy Chronicle (booth #1-2) will be dropping BabyTEQ Starter Packs featuring three figures: OG Black, Ghost Mode, and a new School Bully Red. 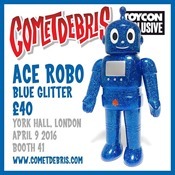 Unbox Industries has an ace set of releases for ToyCon UK 2016 (4.9). 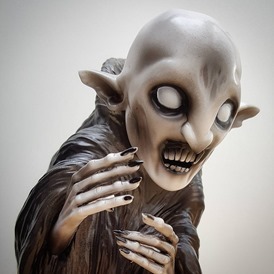 Perhaps the craziest Lolgoth so far, the Gnazgaroth edition of Skinner’s almost incomprehensibly complex figure ups the ante with wooden eye inserts and detailed, multi-layered organic paint. Unbox will also follow-up the popular Witches series from John Kenn Mortensen with his new Vampire series, and in the process may very well push the creep envelope. Finally, yes, those are mixed-parts Mini Mockbats from Paul Kaiju. It sounds like all of these releases will be offered online sometime after the show. 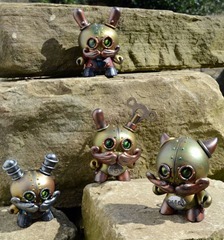 Minty Fresh will release two new exclusives at ToyCon UK. Repping their signature color, they have clear green editions of both Byron and Rangeron (above) from Koraters and T9g. 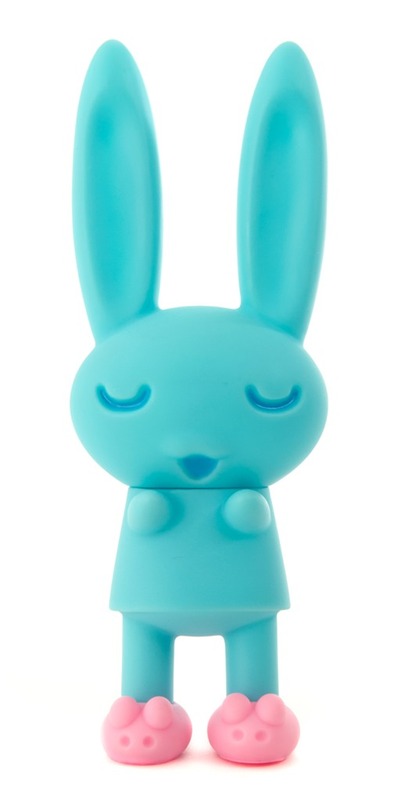 For mono fans, Minty Fresh also has the mono Friendly Fire (100 pcs) from Jason Freeny and Mighty Jaxx. 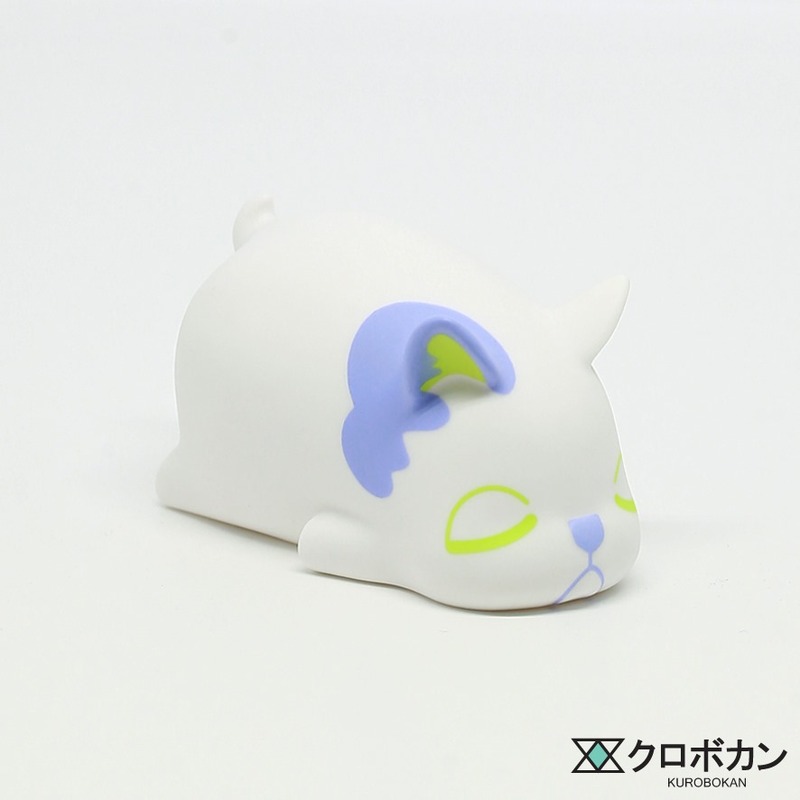 Check out the exclusives at their booth [#14]. 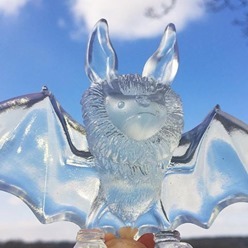 If you can’t make the show, Minty Fresh will have an online release of remaining stock sometime after the show—currently planned for April 12th. 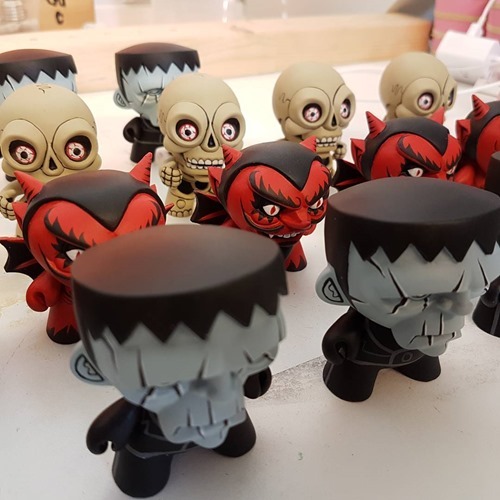 For ToyCon UK 2016, Hugh Rose has created a series of customs based on classic character archetypes-– Frankenstein (Munny, 8 pieces), Red Devil (Dunny, 6 pieces), and Skeleton (6 pieces). Each of these features custom-sculpted faces and the skeleton appears to have custom arms, and considerable body ‘surgery’ as well. All The customs (£50 each or ~ US$71) , prints and more will be at Table 4. 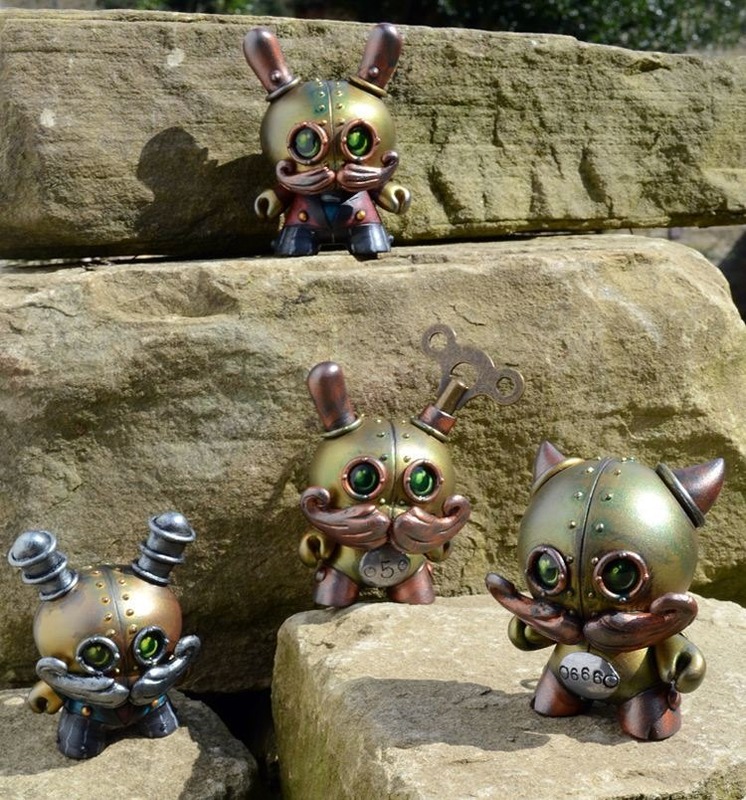 Doktor A will release his new Copper Creeps Series 2 at ToyCon Uk along with several new customs including 3” Dunny pieces and more. 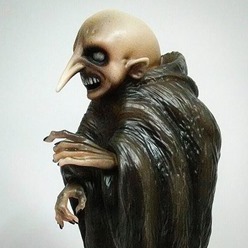 Where series 1 was about Frankenstein (and his bride), series 2 is all about vampires featuring two blood suckers – Orlok (3.5”) and Vlad (2.5”). 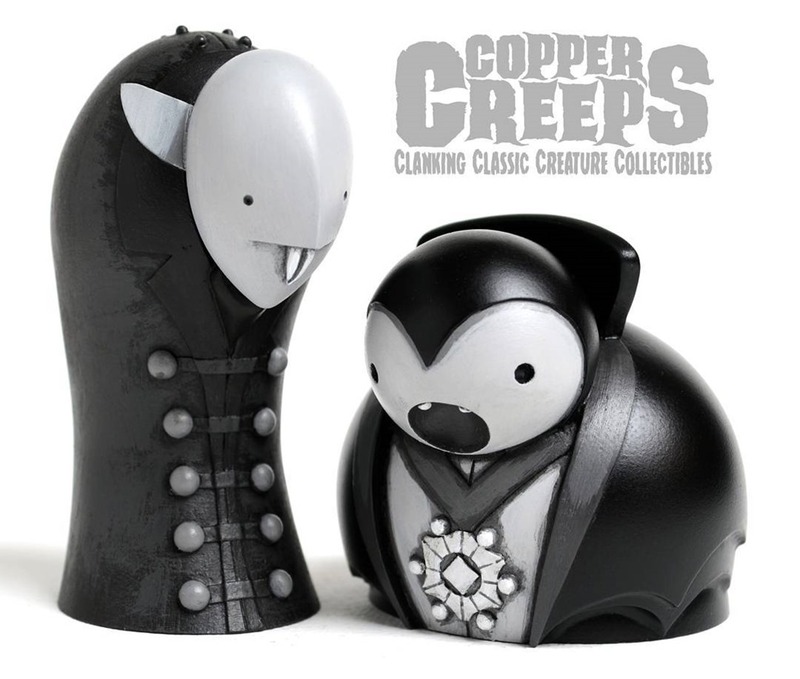 Dok will have all four of the creeps in Bronze and Pewter open editions for 40 (US$55) as well as hand-painted, signed and numbered mono editions (20 pcs, 90/US$125). Dok will also be releasing a copper-colored prototype edition of his Studley Billund custom Lego set from Crazy Bricks and showing a painted proto of his Hurbert Threadneedle ready-to-print 3D model project in the works from Mold3D. 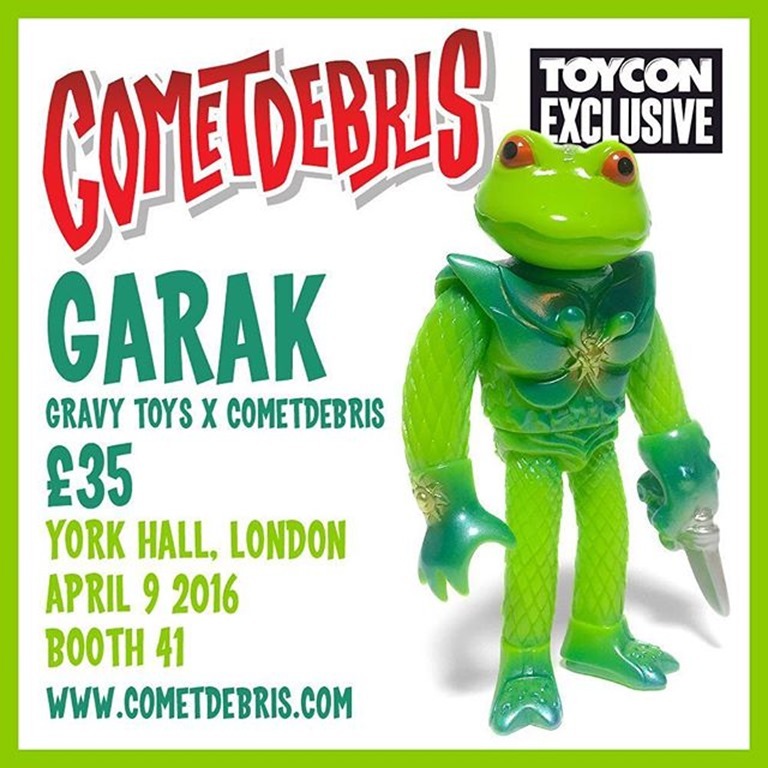 For the full rundown of Dok’s ToyCon UK plans, be sure to check out his Instagram feed. If you’re going to the show, be sure to drop Dok A’s booth (#35). Brutherford Industries will be attending ToyCon UK (4.9) this year and he’s got some brand new Fancy Ice Screams as well the debut of his new Madballz-inspired toys, call ‘em Brutherford Balls. 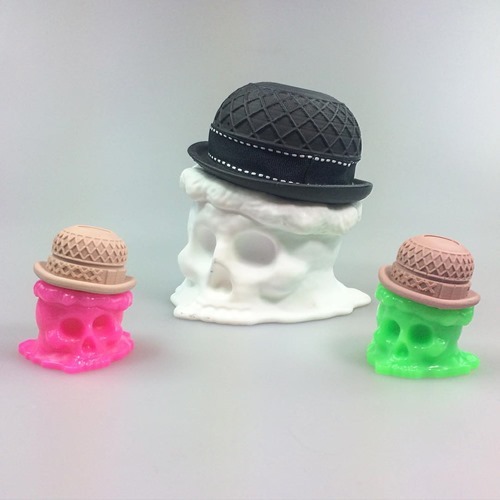 The Fancy Ice Sreams will be available in regular (white, 5 pcs) and mini (neon pink and green) and sport a clever bowler hat-shaped cake cone—very cool. As for the Brutherford Balls, looks like two designs: radical cat and mohawk punker. 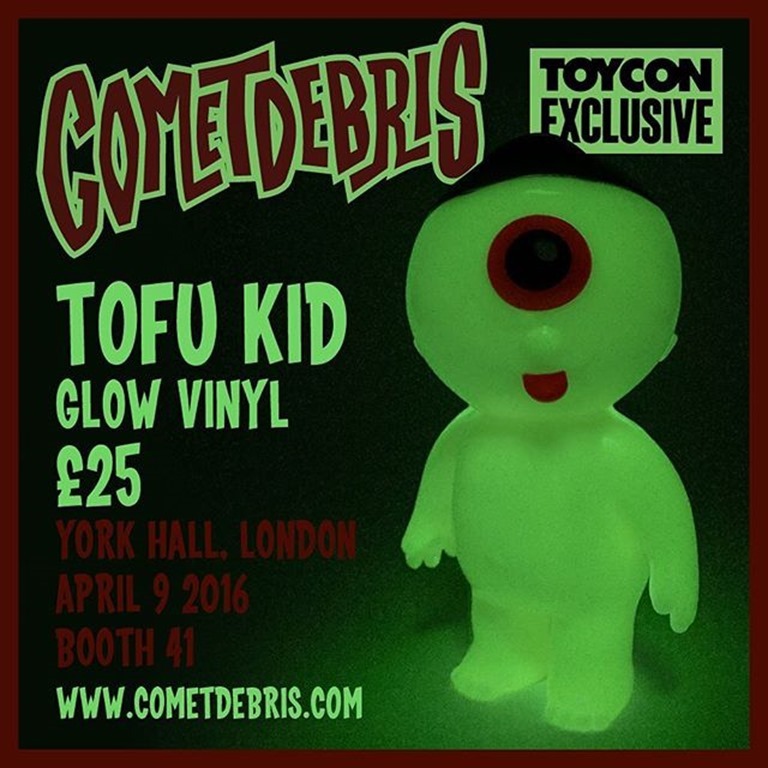 Check it all out at the Martian Toys booth [#11-12]. 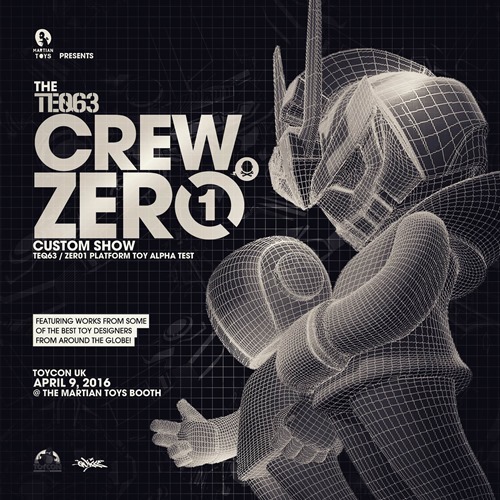 Martian Toys has the made the trip across the pond and will present The TEQ063 Crew Zero One Custom Show at ToyCon UK 2016. 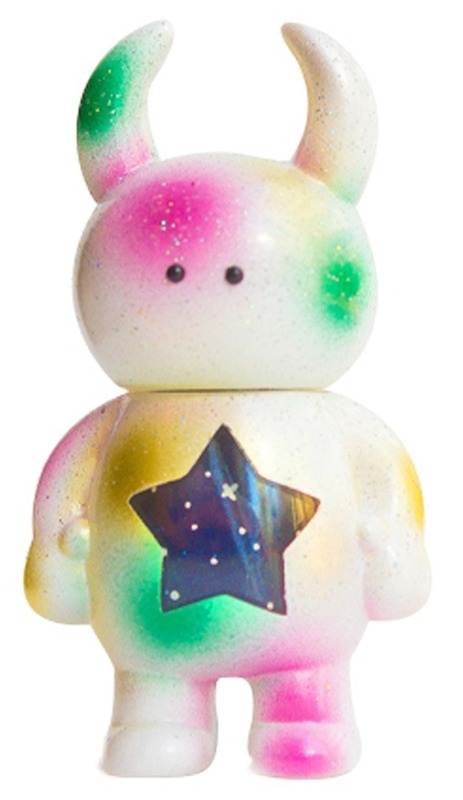 The show features artist interpretations of a special resin version of the upcoming TEQ63/Zero1 vinyl from Quiccs. Two figures in one—the signature TEQ63 and the futuristic Zero1—customizers had access to two different sets of heads and arms and the one common urban body. Hit the jump to see a selection of what they came up with. 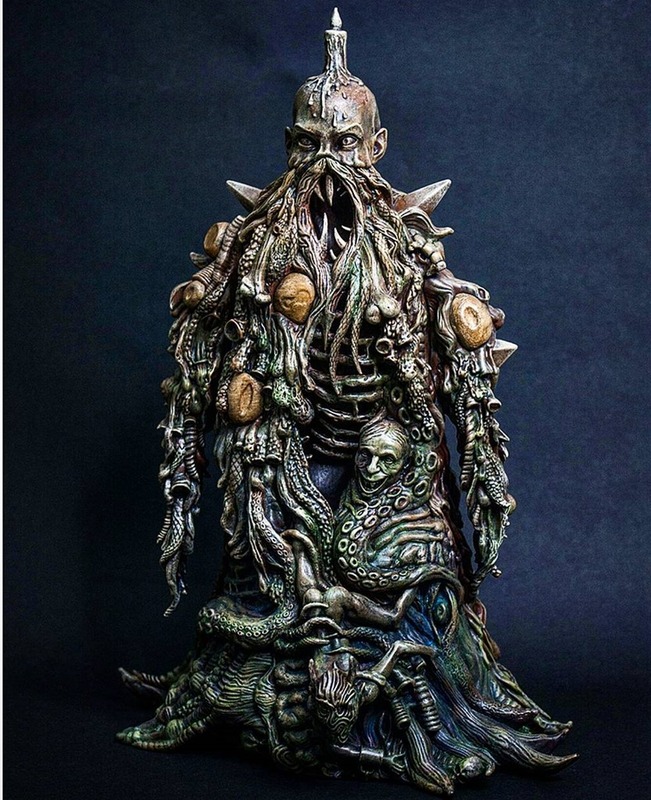 We’re curious to see how this dual personality will be presented for the production vinyl offering. If you’re going to ToyCon UK (lucky! 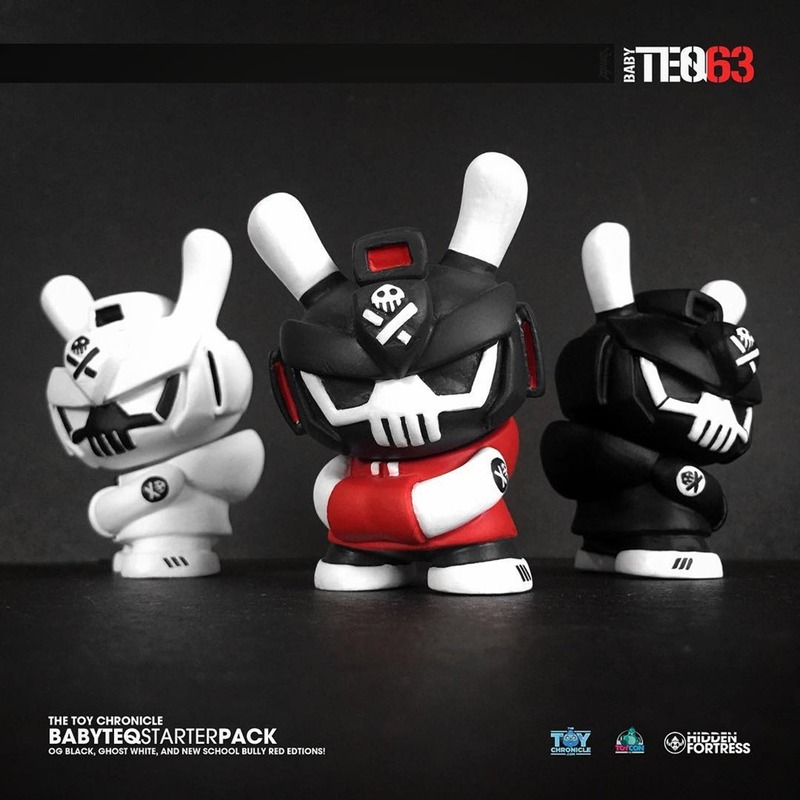 ), be sure to drop by the Martian Toys booth (#10-11) to check out the TEQ63/Zero1 customs as well additional art toy releases and goodness. 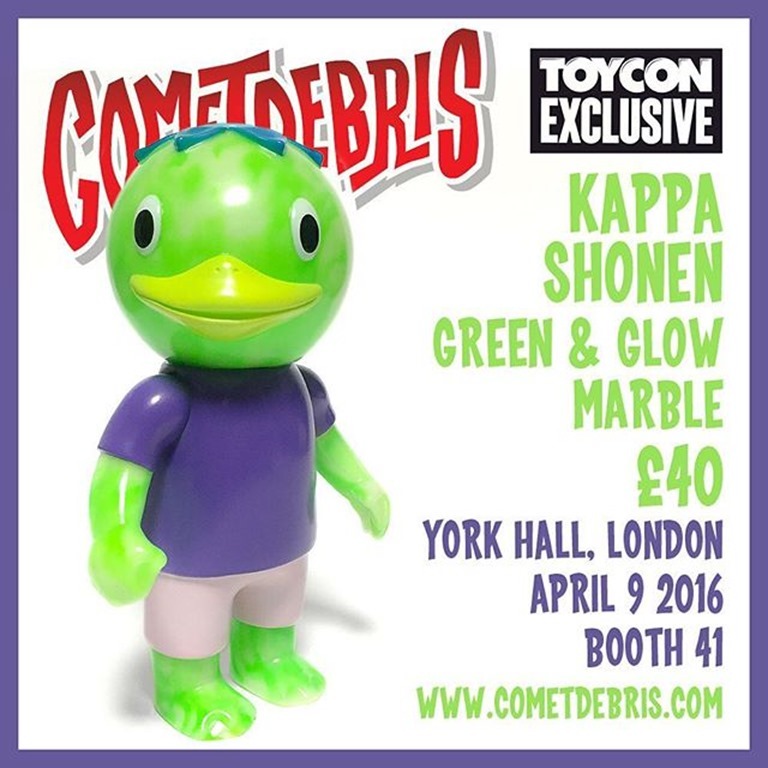 2PetalRose will introduce its new Shogun Rebels line with the debut Hondo figure at ToyCon UK 2016 (4.9). 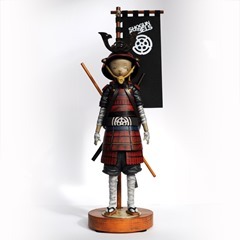 A continuation of 2PetalRose’s samurai lineage, the nearly completely scratch-built Hondo embraces the solider swordsman concept more than perhaps any of the previous figures. 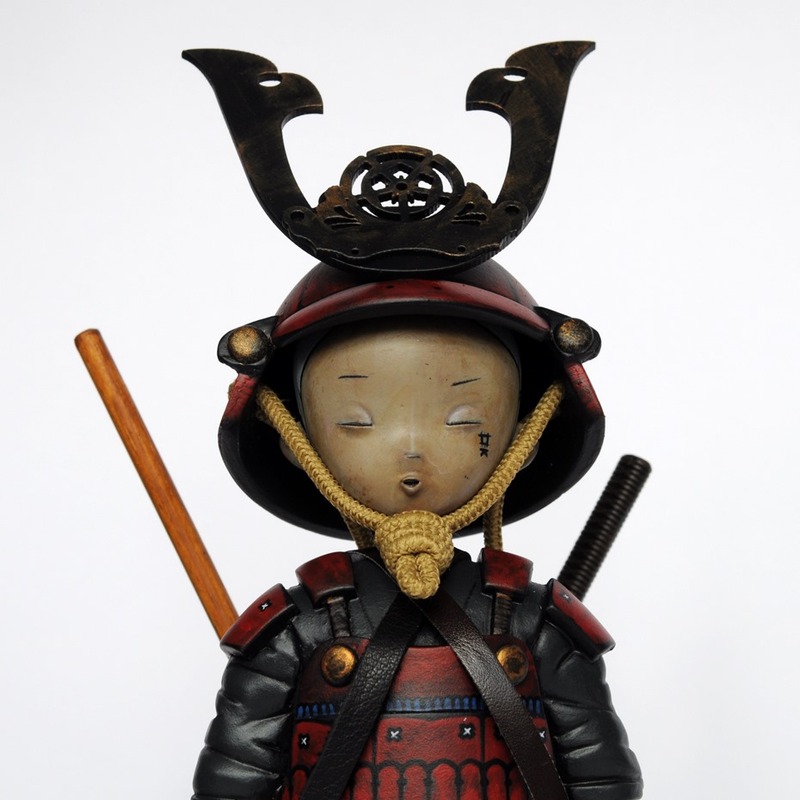 Mostly forgoing the ornamental, his gear is purpose-driven from his helmet and armor to the bo staff and katana. As with previous releases, all of the fabric/material was custom-designed and printed. The hand-painted details elevates the piece—the stylized face is nicely done. The figure is fixed, though the head and flag can be posed. For dramatic display, Hondo comes complete with Shogun Rebels flag and magnetic wood base. 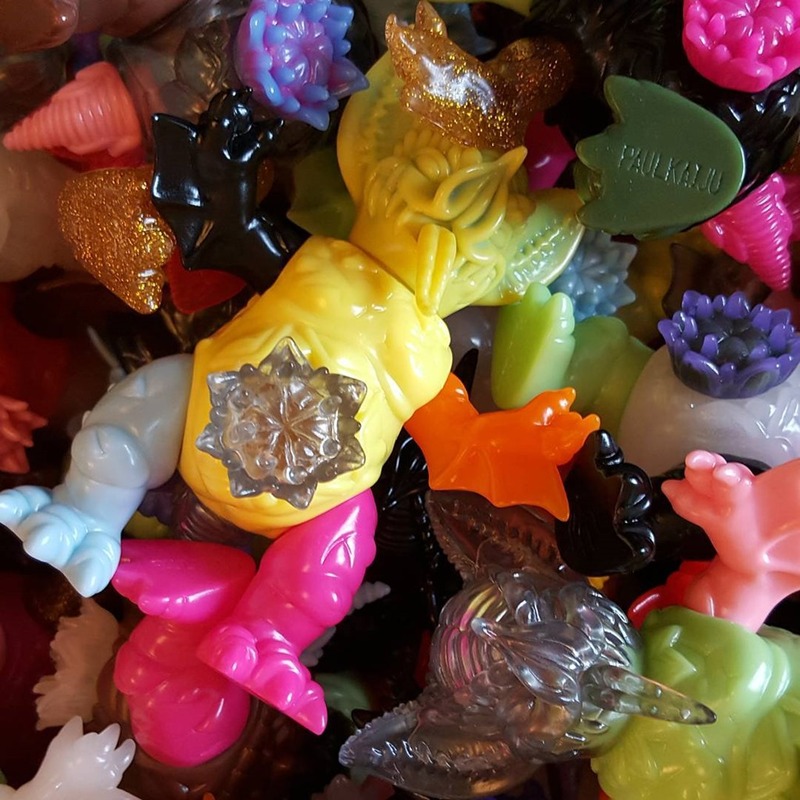 Flawtoys will be holding it down at ToyCon UK with a brand new batch his of gleaming, handmade resin toys. 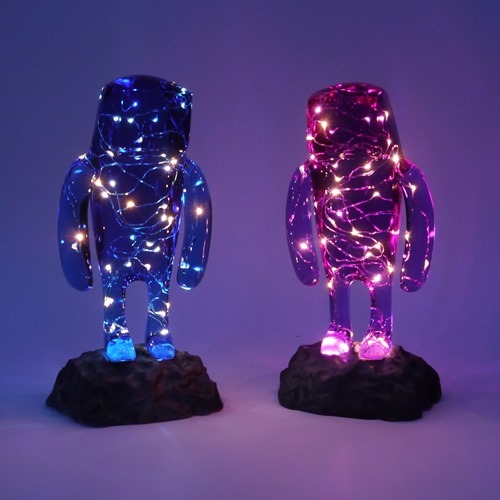 From the previews we’ve seen, Stranger is the star of this group with several new imaginative editions including the wild Stranger Hikari (above) which feature embedded LED lights for a striking addition to your in-the-dark collection. A master of creative resin mixes and embedded objects, Flawtoys will also have a clear Stranger with embedded roses, several Smokey Strangers including a Honey variant with inky black streaks suspended in clear yellow resin, and Anatoma Strangers with stylized inner skeletons. 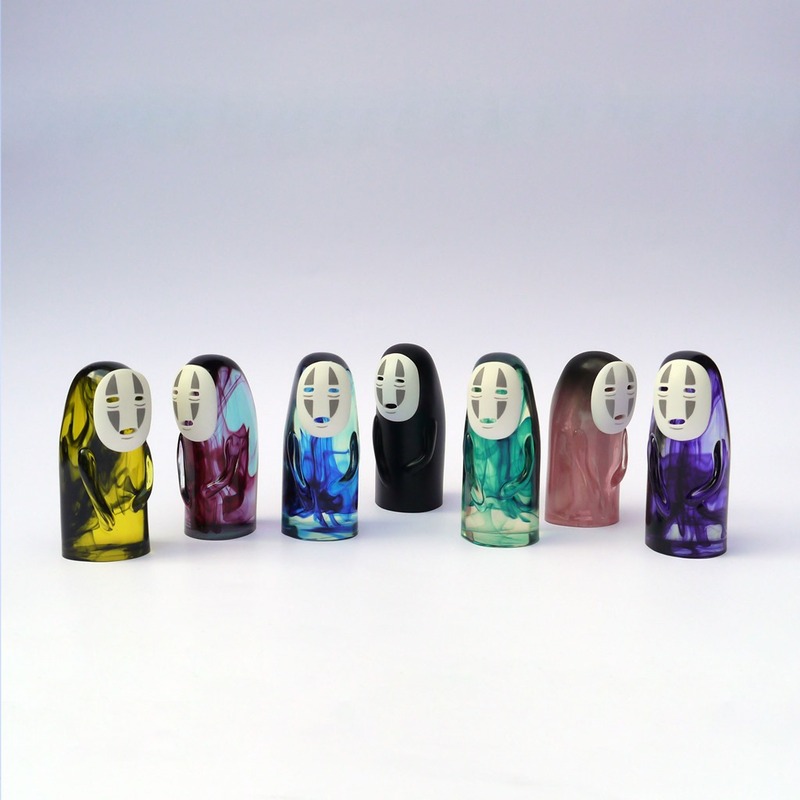 Finally, he’s also found time to create several new versions of the whimsical No-Face. 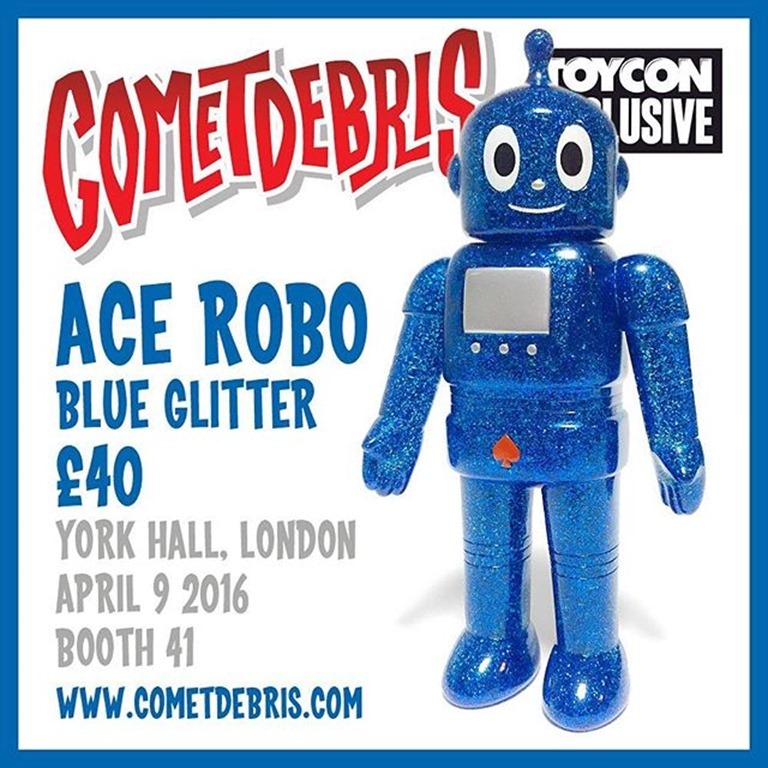 Find all of this at Booth #8 at ToyCon UK (4.9)! 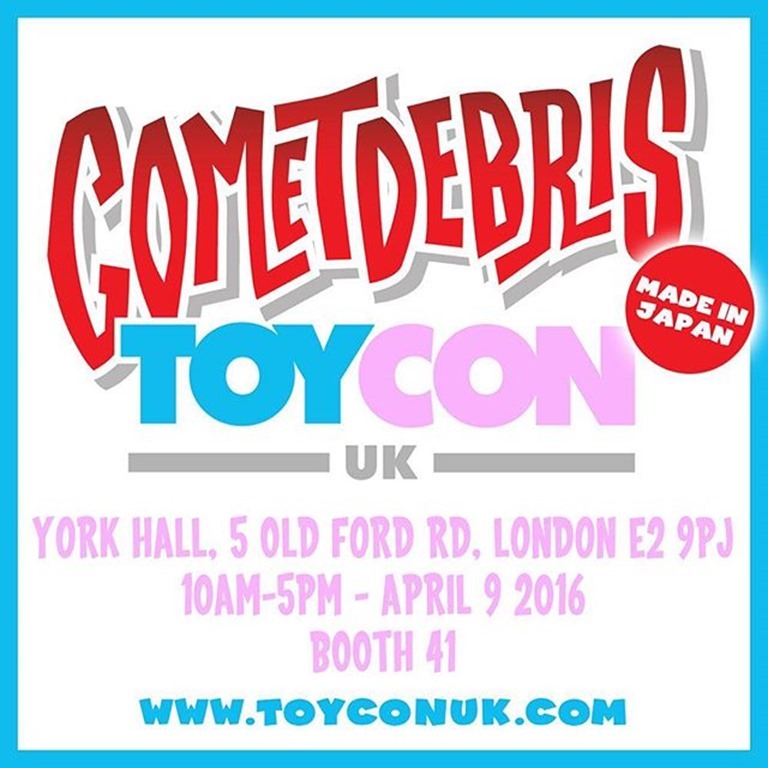 If you were wondering if Cometdebris will be making it out to this years Toy Con UK, wonder no more! He will be back and with more toys than ever! 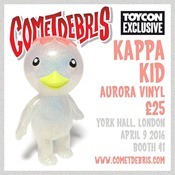 He’s got 5 solid exclusive releases that will be available all day long at his booth #41. Figures available will be his Ace Robo with Blue Glitter, Kappa Kid in a Aurora Vinyl, Kappa Shonen in a Green and Glow marble, his Gravy Toys x Cometdebris Garak, and the second ever release of his new Tofu Kid in a glow in the dark vinyl! If you aren’t quick enough, you just might miss them. 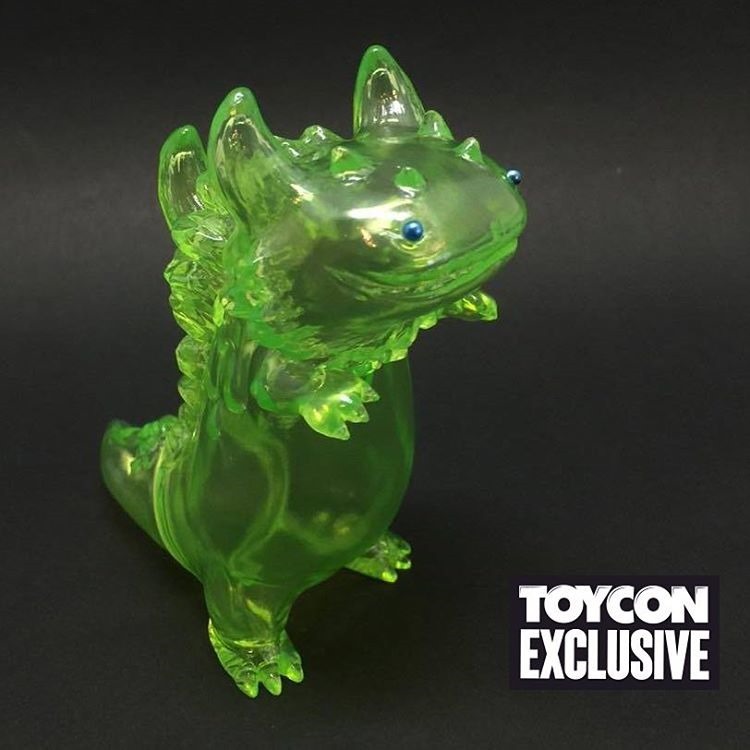 Clear Teal T-Con Release at Toy Con UK! Toy Con UK’s T-Con is back! 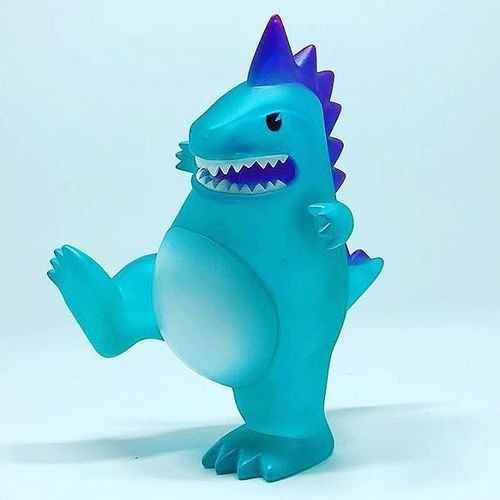 This year their mascot will be stomping it’s way to this weekends convention in a clear teal vinyl with purple accents. These will be very limited and will retail £30 each. They will also have some DIY editions available for sale as well for £20. Be sure to pick one up before they disappear! 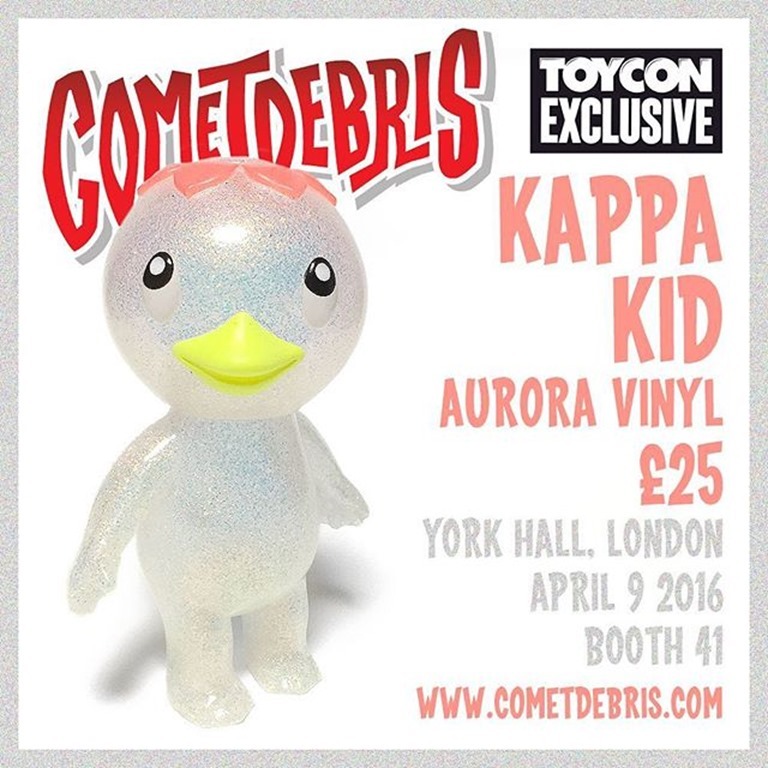 Collect and Display will definitely be a heavy hitter at this years Toy Con UK. So much so, their exclusive list has been broken up into two parts! Check out their list of releases and images listed below! Be sure to also sign up for their mailing lists HERE to get an update on left-over pieces, if there are even any! April is going to be an excellent month for you all you Huck Gee Skullhead fanatics! 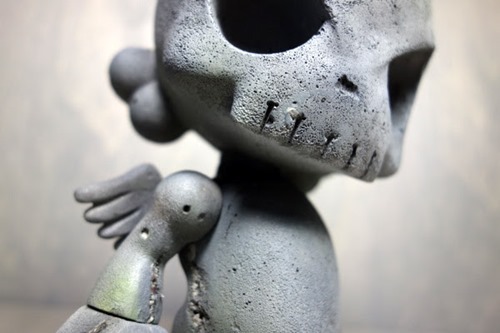 On Tuesday, April 5th, Huck will be dropping the brand new Cement Blank Skullhead. They will be available exclusively through the Huck Gee webstore and will come signed and numbered in an edition of only 75 pieces for $150 each. You're going to want to be on his site at 12PM PDT, as we feel they will sell out in a flash! 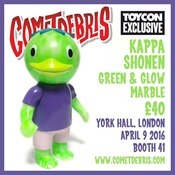 For those attending Toy Con UK, you're in luck! 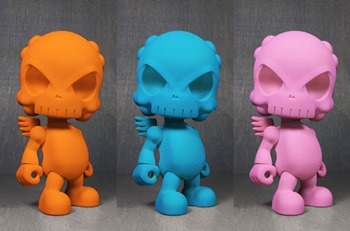 Huck will be bringing along with him 3 exclusive colorways of his Skullhead blanks. 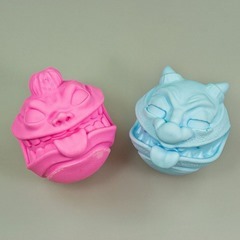 While the Pink and Orange editions will be exclusive to the actual convention, the Blue Skullhead will be The Toy Chronicle exclusive for the ToyCon Aftershow Party. 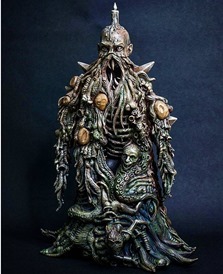 He will also have limited Skullhead Punk T-shirts, prints, watchers, banners, stickers and custom figures!